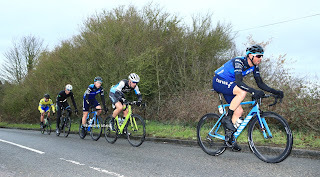 Alan Murchison (above),Lara Taylor,Henry Latimer & Kirsty McSeveney winners at the Andover Wheelers Hardriders 24 at Ludgershall on Sunday 24th February. 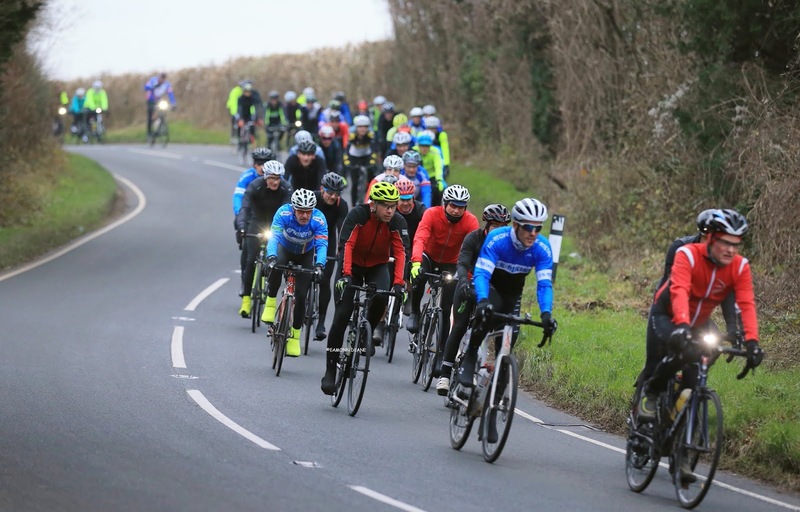 Sunday 24th February starting from Wickham community centre 62 riders set off on 3 routes around East Hampshire and West Sussex for Fareham wheelers 'Reliachillity' ride. 70 miles, 50 miles and a social 32 miles. 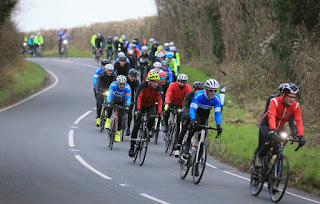 The event was blessed with glorious weather (most unlike a normal reliability ride) and everyone was met at the finish with chilli, rolls, cake and hot drinks. Thanks go to all the helpers especially the chilli makers. E/1/2/3 riders - Leave the HQ and ride as per the Highway Code to reach the start point by crossing the roundabout onto the A3072. At the top of the rise turn left into the Industrial Estate. Line up outside the Bones Unit to await the race start. 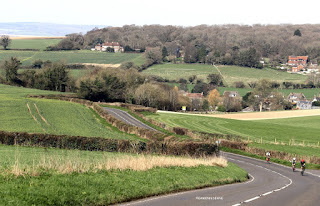 Leave the Industrial Estate and turn left onto the A3072. The race is deneuturalised at the de-restriction signs. Continue on A3072 through Highampton to Beara Cross. Go s/o. Pass Brandis Corner to reach Dunsland Cross. Go left on to A3079 (M2). Continue to Halwill Junction and roundabout. Turn left (M3) into Station Road. Beware of narrow road with bollards on your right hand side. In 60 yards bear left again into Higher Station Road. Continue on unclassified road towards Chilla. At Graddon Cross where road goes left for Chilla bear right. At Beara Cross and A3072 turn left (M2) to complete one circuit of 11.3 miles. 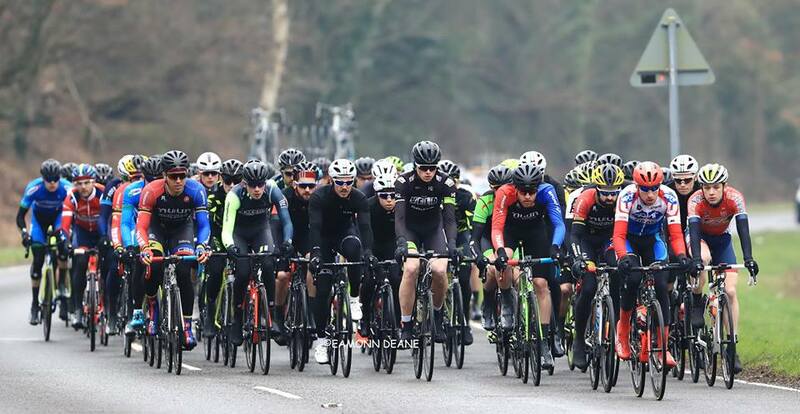 Cat 3 & 4 riders - Line up in the car park area to the right of the hall, cross the roundabout and ride under neutralised conditions up the hill to the start of the race proper at the de-restriction signs. The prime point is level with the bus stop on the RH side as riders approach Halwill Junction and just before the junction with Stags Wood Drive. There will be a prime each time a race passes this line. A record low of just 6 riders faced the team keeper for this morning's ascent of Dean Hill despite the reasonable conditions. Thanks to Jon Chapman for organising and the timekeepers, marshal and pusher off turning out to give the 'Magnificent Sextet' a ride. "Its just getting the youngsters, the kids from Bournemouth. Once it becomes the place to be, once you get some of the big hitters coming down and wanting to do it and you start getting kids fit, that's what its about, its about the kids!" Do you think it is imperative that the local clubs are involved? "Yes,Yes, they dont get all critical of it, come down here and have fun, come down and just ride the bloody thing and have fun. You will get a community atmosphere and it will self- police itself, it really will!" 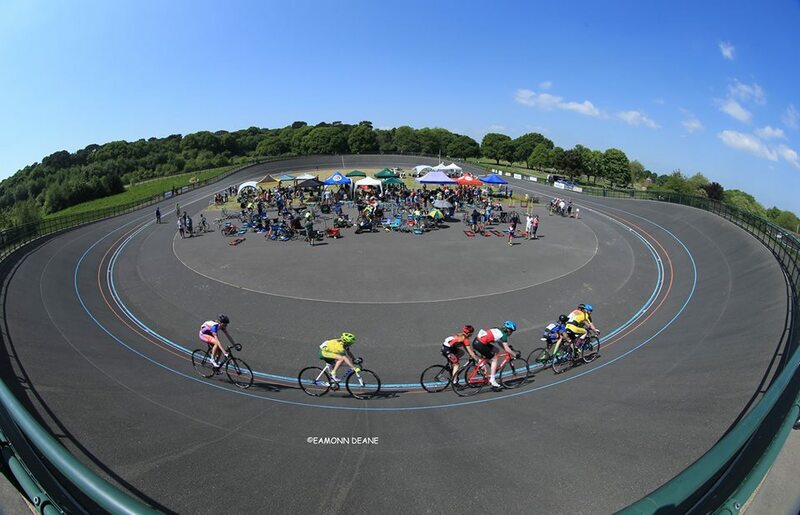 Current Great Britain Cycling team members, Rebecca Raybould and Ali Fielding began their careers riding at the Bournemouth venue and local clubs regularly use the track for training & coaching sessions. "What place does Perfs pedal race have for a first year Junior? 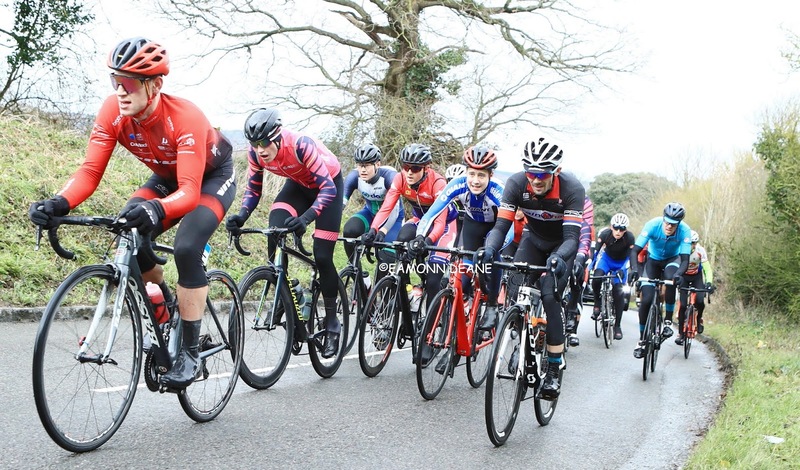 I think most people were expecting I would be dropped after the first lap, but I knew it would go hard from the start so I warmed up well before the start and positioned myself towards the front so I didn’t get caught up with riders dropping off the back. 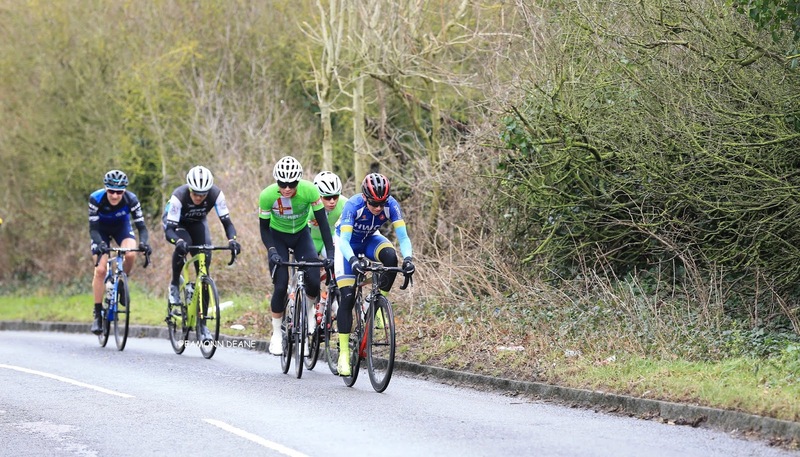 I wasn’t confident of my form coming into my first road race as a Junior. 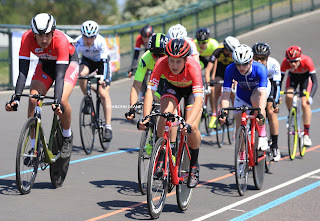 The youth races tend to be held on flat circuits and only last 45 minutes so they suit the sprinters. I’ve dramatically changed my winter training and focused on lots of base miles which I hope will pay dividends this year. Local knowledge also played a big part as I’d been out most weeks doing a chain-gang on the Perfs course. I got dropped a couple of times because I rode my winter bike which is 10 kilos or more. Looking back that probably helped! 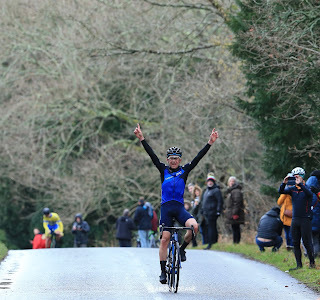 The race was the hardest I’ve ever done, but I got lots of support from locals around the course and an opportunity to ride against such a quality field kept me going. Laps one and two were the hardest with the bunch pushing over the top of Portsdown Hill. Luckily the headwind on the downhill meant the junior gearing wasn’t a problem. 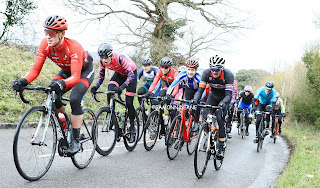 The remaining laps settled down and with the main field whittled down to about 30 riders I was feeling comfortable coming into the last 5 miles. I stayed clear of the crash at the bottom of the last climb and pushed hard to the finish, coming in 22nd place. So, what place does Perfs have for a first year Junior…. Great opportunity and great experience. Thank you Perfs organisation and I’ll be back next year for another crack." 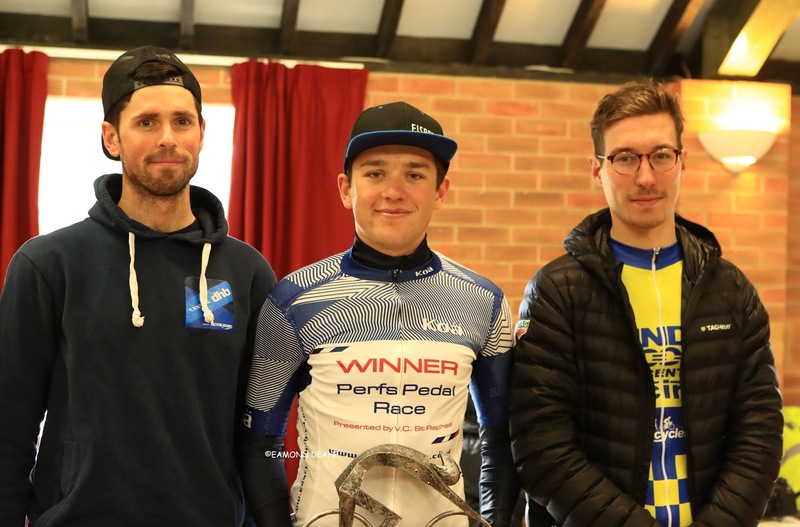 In his first year as a Junior Tom is keen to get as much experience as he can and hopes to race in Belgium and the Netherlands later on in the season. Comfortable on the track and against the clock it could be an exciting year for the young all-rounder. Damien Clayton (PM) looked strong and impressive as he rode to second place behind Jacon Vaughan at the Perfs Pedal on Sunday. 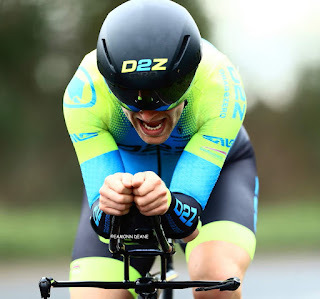 The 26 year old from Barnsley has only been racing three years but already holds an Elite licence and read the race perfectly. 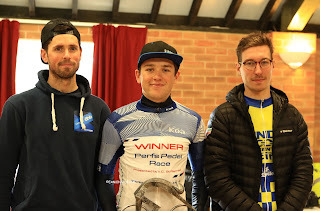 Clayton picked up £140 for his efforts and we spoke to him at the race HQ in Southwick......"Last year was the first time i rode Perfs, i was not really in shape for it had done no intensity over the winter so i was pretty happy. 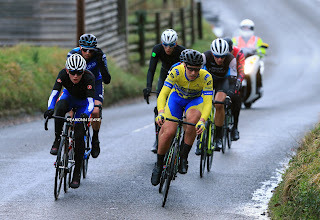 It Is always an unknown coming into this race, dont know where you are going to be so early on in the season and the conditions, having not raced since October i am pretty happy how things panned out. The climb is hard but its what comes after, if you are in the top ten wheels, well positioned its ok because it just strings out like an elastic band.. Alex really put the hurt on and the crosswinds at the top made it hard, he was absolutely flying, he was on a really good day. It was good to get into the break and when it was just three of us at the end i was just getting double-teamed by the Canyon lads. It looked they were working for Jacob, Alex attacked a lot and obviously it was down to us to chase, allowing Jacob to just sit on. I got across to Alex at the end, i thought we could work together but before i knew it Jacob got on, i knew then second was the best i was going to get. I could not really attack them, if i attacked they would bridge to me and do me over again. I had to reserve all i could for that final climb.When i saw Alex pop i tried my best to chase down Jacob and get up to his wheel, i was doing well for ten seconds or so but he just rode off, he was really strong. I knew it was going to come down to myself and the Canyon guys I train with these guys quite a lot. ("No, No No", he laughs when we suggest Tim Elverson might make him an offer) It's only my third season racing, so it is all pretty new, i was going to do it as a Private member like last year but just got on a new team in January (PM). I live in London but i am moving back up North, my team is based up there. I will be back down for the Jock Wadley and Wally Gimber after we ride a few Crits around Wakefield"
Fareham Wheeler's CC reliability rides. Start from from 0800hrs @ Wickham community centre, Mill Lane, Wickham. PO17 5AL. 3 routes, 70 miles,50 miles and 32 miles. Ride alone or in groups of no more than 12 (as per a normal club run). Challenge yourself to achieve a Gold, silver or Bronze standard finish time. 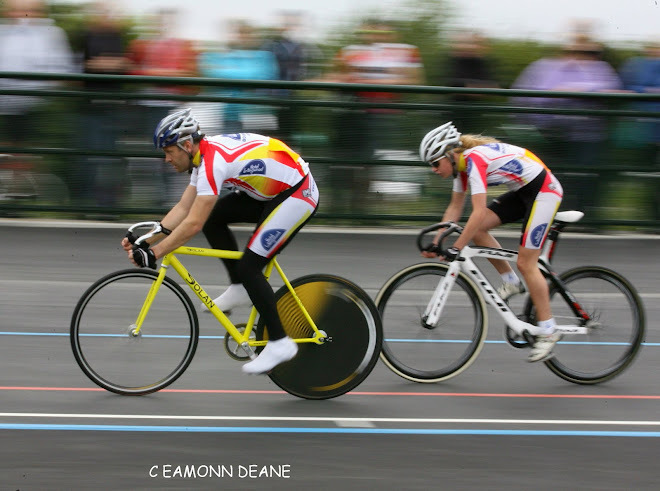 Open to ALL riders of all ages (subject to parental consent for under 18's as per club rules). 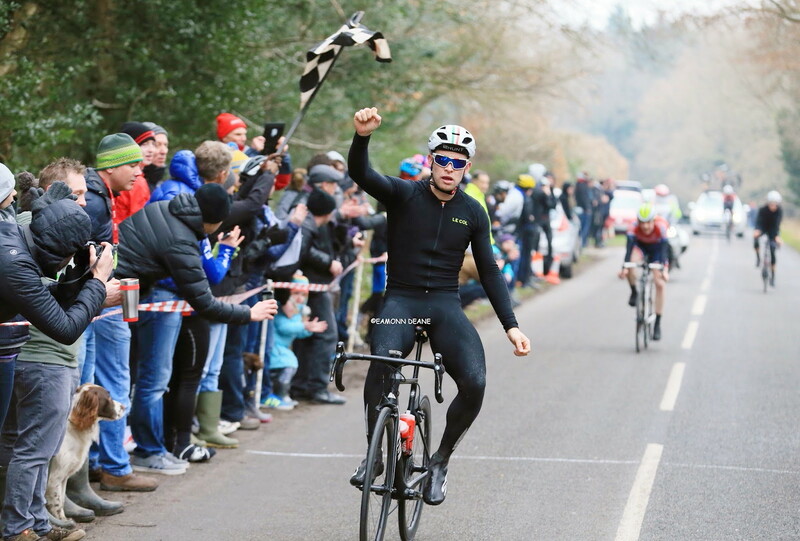 Jacob Vaughan (Canyon DHB P/B Bloor Homes) won the 54th Perfs Pedal in Hampshire to give his new team a winning start to the season. Pre race favourites Marcin Bialoblocki (Nopinz Latchem RT) & Alex Richardson (Canyon DHB P/B BLoor Homes) withdrew due to illness but the day was no less exciting for the loss of these two. 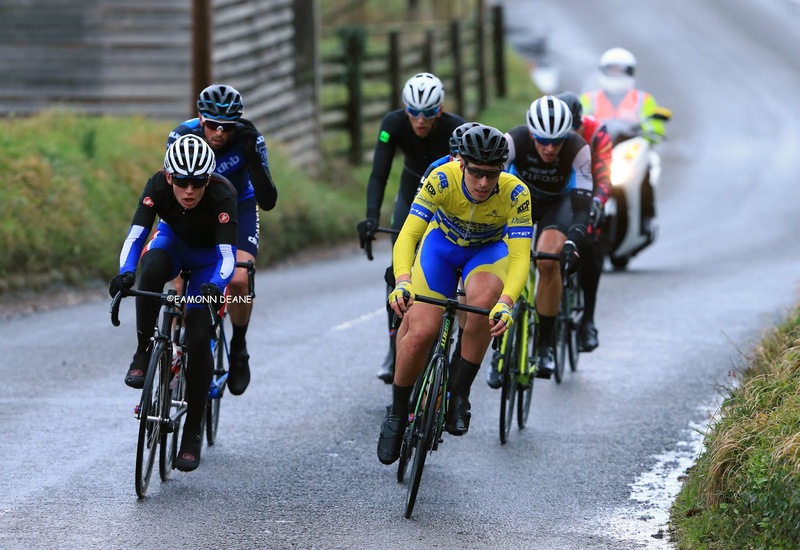 It was teammate and 2018 winner, Alex Paton who did the early damage, riding hard the first time up Portsdown Hill, Paton pulled a small group of riders clear on a damp, blustery typical Perfs day. 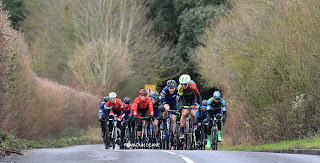 The lead was slender, only a few seconds but Paton, Vaughan, Damien Clayton (PM), Jordan Peacock (Spirit Tifosi RT), Lee Frost (Nopinz Latchem RT), Jack Rootkin-Gray (Solihull CC) & Jack Freeman (Meudon Pedal Heaven Le Col RT) pushed on across the exposed Portsdown Hill road, above Portsmouth harbour. The advantage was never more than 22 secs but the bunch would never quite close it. 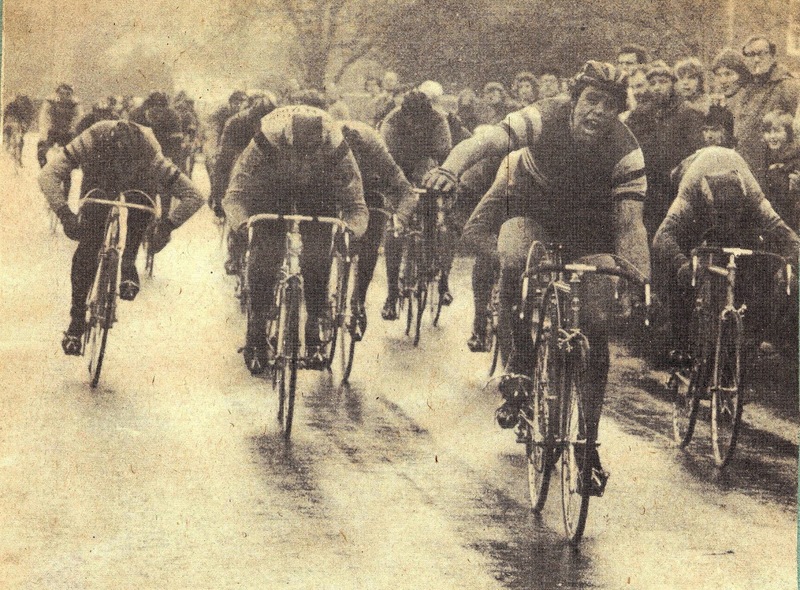 Rootkin-Gray & Frost lost contact the fourth time up the climb, the relentless pressure of Paton too hard to live with. 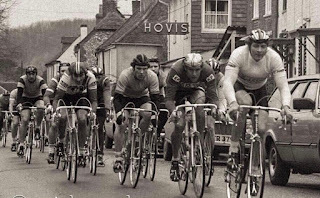 Indeed, it looked like Paton was working for Vaughan, the 19 year old sitting in 3rd or 4th wheel forcing the impressive looking Clayton, Peacock and Freeman to respond to the watts on the front. The 5th and final time up the gap was over 1 minute and it was Paton who pulled away, holding a 20 second lead he held as he flew down the descent to Southwick but the move would not stick. 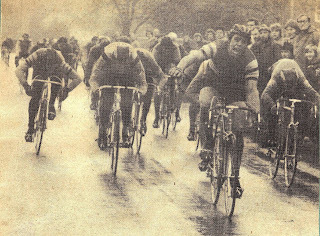 Peacock led the pursuit and reeled Paton in as they the turned onto the finishing loop, Paton tried again, leading onto the climb up to the line with Clayton & Vaughan not far behind.
" Tim (Elverson) has been having a go at me all the time in Calpe, he loves this race, say i have to win it, i did not sleep that well last night because i was so worried about this race, there is so much pressure coming into it. If we come second here its looked upon as a terrible result. 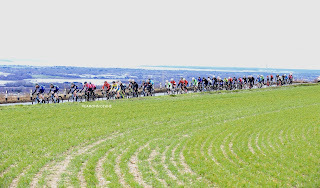 I really enjoy the atmosphere of this race, great organisers a great course, i love coming out for it. Alex did the majority of the work in the final, he really put the hurt on, i thought i might pop. Damien was really strong, i hit it with a Kilometre to go but started to park up at 500 "
"Yes pretty happy, its always an unknown coming into this race, dont know where you are going to be so early on in the season and the conditions, having not raced since October i am pretty happy how things panned out, the climb is hard but its what comes after, if you are in the top ten wheels, well positioned its ok. Alex really put the hurt on and the crosswinds at the top made it hard. It was good to get into the break and when it was just three of us at the end i was just getting double-teamed by the Canyon lads. It looked they were working for Jacob, Alex attacked a lot and obviously it was down to us to chase, allowing Jacob to just sit on. I got across to Alex at the end, i thought we could work together but before i knew it Jacob got on, i knew then second was the best i was going to get. Jacob just rode off, he was really strong"
"Yes it was a good race to be honest, the main thing was to come away with the win and its nice to get on the podium as well. 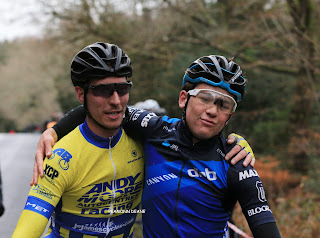 In a loose sense it was a plan, the main focus was to make sure we won the bike race and if we had the option of trying to help a certain guy win it would have been nice to have Jacob, that was our thought. Its a difficult thing to control, ultimately we had it down to three guys, myself, Jacob and Damien and you can make quite a lot of decisions from a group of three. 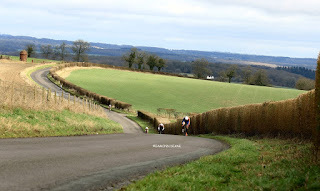 I committed early on the climb, we knew we would hard on the climb, make use of the terrain really, its a short race, 46 miles, there is a lot of bike riders who are strong for forty six miles you know! 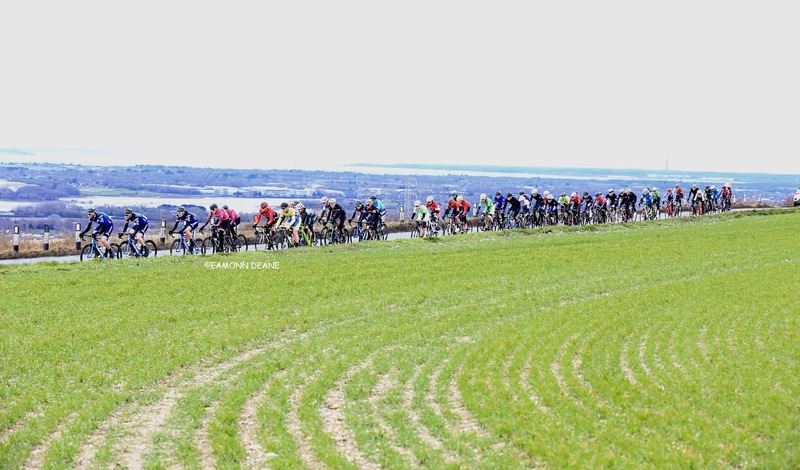 You cant come to a bike race like this and underestimate guys, you have to show everyone here a good level of respect. We come here with a bit of a target on our backs but that's bike racing. We have to take the race on, if we get it wrong we are going to get shown up, there is a bit of pressure, we have a bit of responsibility. 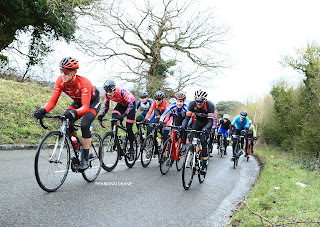 Most of the guys racing here today have spent the week working in the office, we have spent the week riding training and preparing for bike races, you do have to give credit for how hard everyone else works. Jacob really did race perfectly to be honest, used his energy where he needed to and put himself in the right places. Fair play to Damien, he rode well responding to all the attack"
"Yes it was super fast, Canyon smashed it, we knew they would, it was just one lap over the top where it was just attack, attack, they were obviously trying to get a man up the road and once they had that break, it was not going to come back and the headwind down the descent nullified any chase. It was great fun though, i always enjoy it"
Alex Paton Canyon DHB Bloor Homes "I would like Jacob Vaughan to win and feel he is good shape to do the job"
Charlie Passfield Spirit Tifosi RT "I think team mate Rupert Graham will win"
Jacob Vaughan Canyon DHB Bloor Homes "I think Alex Richardson, reckon he will be going well"
Oscar Mingay Wales Racing Academy "Alex Richardson I think." Simon McNamara Southdown Bikes Casco PET "I reckon Alex Richardson - solo 10 seconds , my Bro for a strong top 10"
Chris McNamara Nuun Sigma Sport London "I think Marcin makes life more complicated for Canyon but ultimately they have the numbers and I can see them man marking him and not letting him get anywhere - I would go for Alex Richardson for the win with Mikey Mottram as an outside bet to upset the Canyon boys"
Alex Richardson Canyon DHB Bloor Homes "Likely winner Jacob Vaughn dark horse and going well"
Michael Mottram Vitus Pro Cycling Brother UK "To be honest i dont have a clue. Could be any one. It is very early in the year and people have all had very diffrent off seasons." Sam Culverwell Guernsey VC "I’d say good people to put your money on would be Alex Richardson and Marcin Bialoblocki, however both of their teams has strong elite/cat 1 riders. Also Michael Mottram is very strong so will be in the mix for sure"
race hard but safe and have good fun"
Gary Chambers Nopinz Latchem RT "Alex Richardson!" Jack English Guernsey VC "I would say it's Canyons race to lose, but we will also be following a number of individuals who we believe will be a threat. It's early season and for most riders it'll be the first real test. Should be interesting." 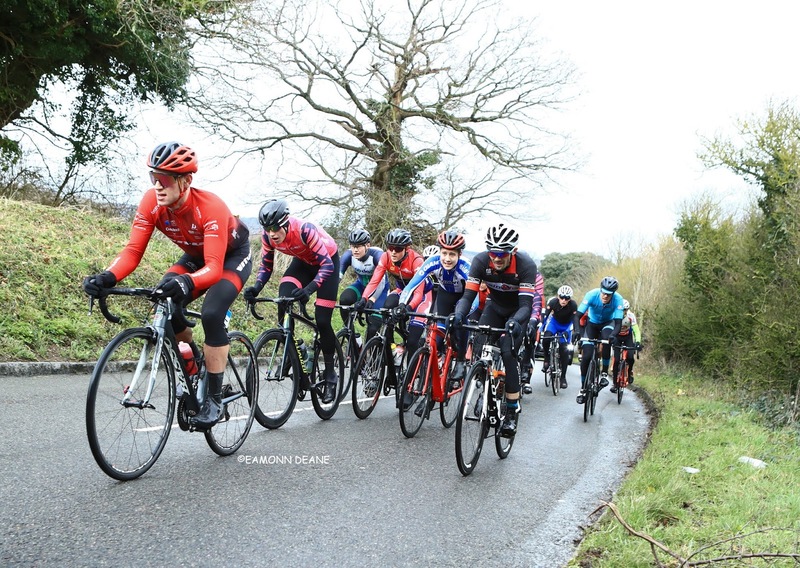 Frederik Scheske Vitus Pro Cycling Brother UK "There is a lot of unknown form, and i've not ridden course myself before, so would be hard pressed to pick out one rider. Sorry I can't give you a name"
Oliver Winwood-Bratchell VC Venta "Ooo I reckon Marcin"
Benjamin Marks PM "Well....I haven’t looked at the start sheet yet, but without much though I imagine one of big Tims Canyon kids will mop the floor so to speak. I’ll try and make up numbers on the podium." 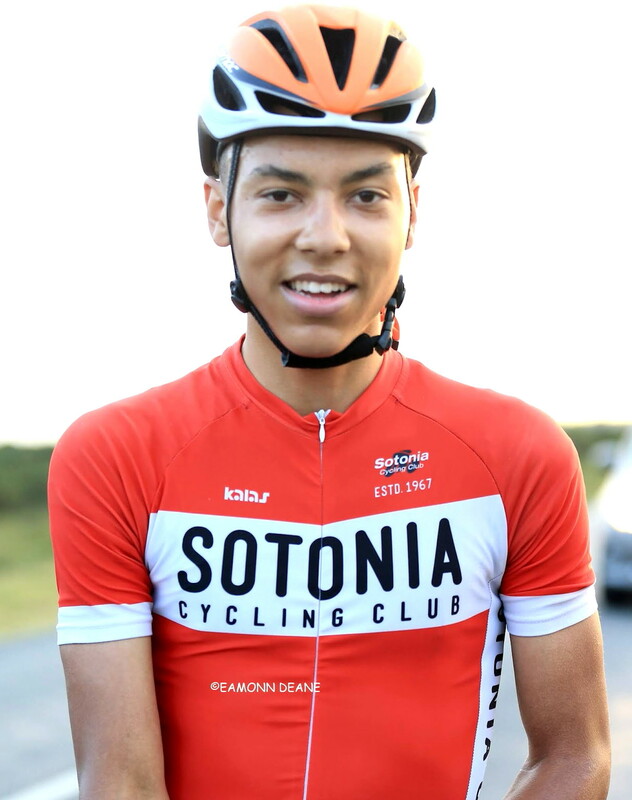 Oscar Hutchings Team Tor 2000 Kalas "Can’t see past Marcin really, but will be giving it everything to beat him." 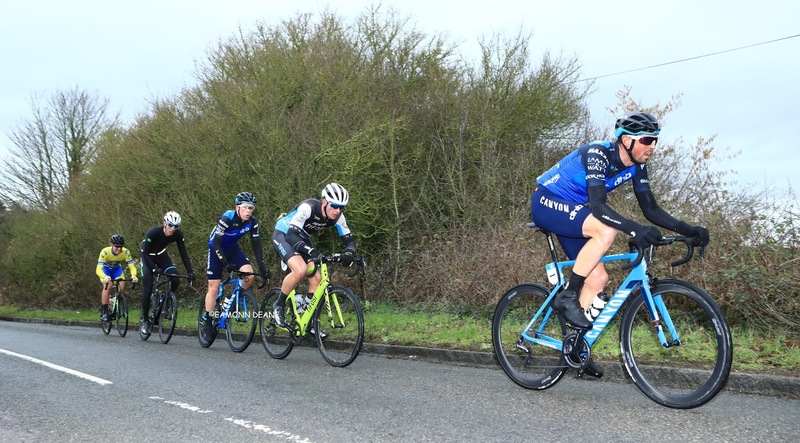 Zak Bridges Team Ribble "Expect the Canyon team to come to dominate like they have in the past few years but it looks like there's a few other strong teams in Nopinz Latchem, Vitus and Wales academy lads. Will be good to get the season underway." Red Walters Vitus Pro Cycling Brother UK "Ooh that's a good one. Obviously I think I've got a good team, and I know Mikey is super strong. Also gotta be carefull of Gary chambers and Bialoblocki I reckon. 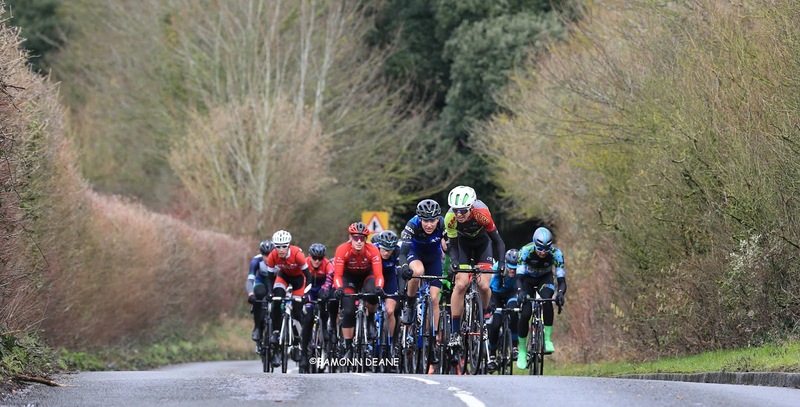 And then obviusly canyon are gonna be the team to watch with a good 4 possible winners too"
Lee Frost Nopinz Latchem RT "Obviously Marcin"
George Skinner Primera-Teamjobs "I think Canyon DHB will be the team to beat. They look like they are putting good hours in in Spain and i guess they will be riding for Alex Paton, having won last year"
James Horton VC St Raphael "To be fair not really knowing all the riders, it will come from a break and i think it will be an outside odds rider"
Tom Day Giant CC Halo Films "Well I’d like to say myself (gotta be confident) but realistically I think Red Walters (from Vitus pro cycling) has a good chance as he is looking really strong this year." George Smith Nopinz Latchem RT "Umm tricky one you’ve got the canyon boys plus our team which is strong this year so hard to call, along with the vitus team and a few others. Overall i reckon one from our team will get it so fingers crossed. 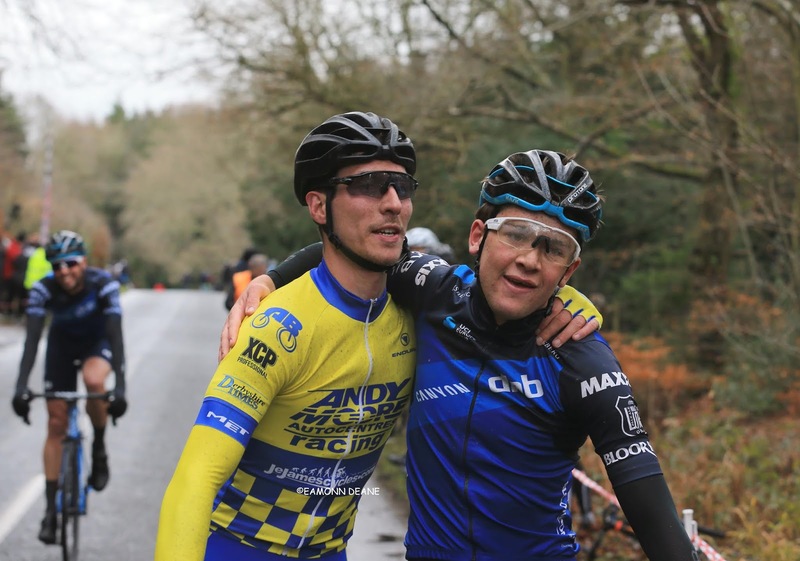 See u there"
George Fowler Nopinz Latchem RT "Marcin my team mate of course, or me, 40 hour week in Calpe should see me well"
Chris Opie Perfs winner 2012,2017 "Thats a very good question. I would like to see a young up and coming rider win it again. Tim Elverson has his Canyon team there, I would like it to be on e of his second year U 23 riders. Charles or Louis, perhaps. However, for an actual prediction, I actually think it is a race that suits a rider with good experience." "if you want me to pick someone out, maybe Jacob Vaughan, if Tim sends him. Bags of talent, has form in the race and is determined to get back on track on his return to the domestic scene. It looks a strong field this year? No stroll for anyone. Be interesting to see how Alex Richardson goes. Rode it two years ago but stronger and wiser now. More than capable." Tim Elverson DS Canyon DHB Bloor Homes "Difficult, I'd like to think us but a few good guys in there, Im racing it to be all about my young guys so one of them, we will have a few plans in place"
Mick Waite Race Patron " A tricky one but i am going for Jacob Vaughan." What do we think? As always the climb of Portsdown Hill will shape the race. 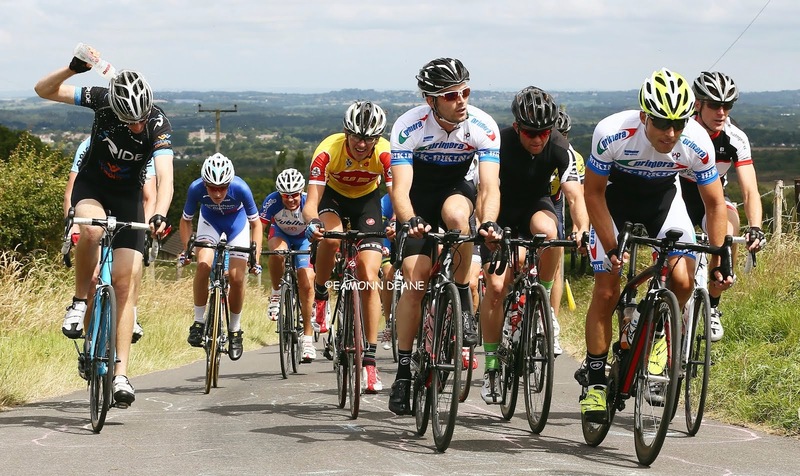 We expect the Canyon DHB P/B Bloor Homes team to drive hard on the front perhaps as early as the first time up. Position is all important as the pace and the hill force the selection, those that miss the move will have to settle for some early season race miles in the legs as they contest the minor placings. We think the experienced Canyon lads will try and set it up for one of the youngsters, Jacob Vaughan could be the beneficiary and certainly loves the Perfs event having finished second behind Chris Opie in 2017. 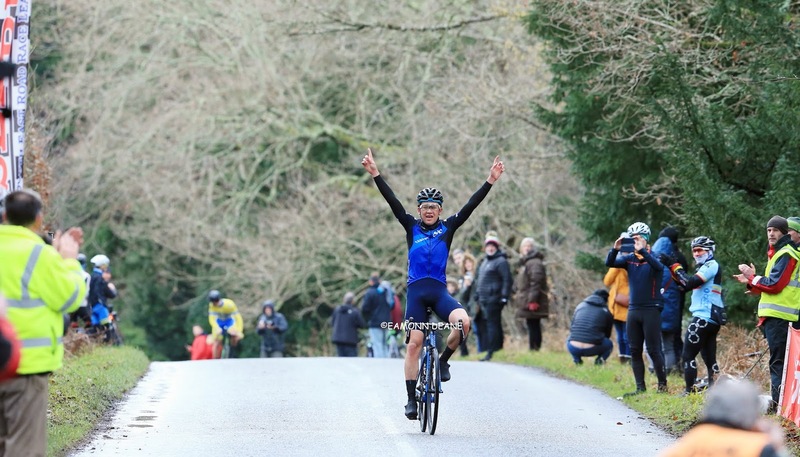 But despite Canyon's strength in depth and Tim Elverson's winning streak at Perfs, victorious in the last three edition, we are putting our money but not much, on 2013 winner Marcin Bialoblocki (Nopinz Latchem RT). Bialoblocki will not be intimidated, is well capable of going with the moves and, if the weather is rough it will suit him just right. Of course the bunch know all about his strength's so he will be marked well, he will have to work hard for the win, his winter training will face a thorough examination and the always motivated Canyon boys will certainly exploit any weakness. One thing is for sure, it will be a tough, competitive race and whoever adds their name to the Perfs winners list will have earned the right. 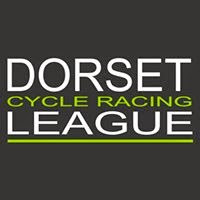 Mick Waite - VC ST Raphael sponsor has kindly donated a Trophy to the event, which will be awarded to the fastest rider over the two laps. This will be an Annual presentation and the winner will have his or her name engraved and keep for one year. The event has been now running for 3 years and past winners have been engraved. Start at junction of Portchester Lane approx. 0.3 miles west of Southwick roundabout on B2177. Proceed on B2177 to Staple Cross roads then left to South Boarhunt across small bridge bear right on the bend to climb through South Boarhunt then turn left into Swivelton Lane continue to junction with Portsdown Hill road turn left continue along Portsdown Hill to main roundabout. Take 1st exit onto B2177 to descend Portsdown Hill to Southwick Roundabout go straight on to pass the start and complete one lap. On the 2nd lap finish 75 meters before Southwick Roundabout opposite lay-by. RD Winter's gone pretty well this year, especially with the new team, that's more than enough motivation to get me through it. Q What is different your training this year to last year? RD Compared to last year, I think it's gone pretty well. I started about a month earlier, and have had a good four pretty hard blocks compared to just two last year. Also done a huge amount of strength training. I've had to take the last 2 weeks fairly easy though to recover so hopefully I'll be going fairly well for Perfs . Q What about your chances at Perfs? RD Personally, I am pretty clueless as to how my form will be, especially as I haven't had a power meter since December, so It's hard to say. Assuming I'm feeling ok on the day I'd be pretty happy with a Top 5. I might get 10 minutes in and realize that is definitely off the cards, but there's no point aiming for 30th. Obviously equally happy if I helped Fred or Mikey get a result too! Q How do you think the race will pan out, what are the best tactics? What will you have in your bidons? RD My Bidons will probably have Ribena because I've got 2 bottles of the stuff at home. But I'm notoriously bad at drinking when It's cold, so I should probably ask what everyone else wants, as I always end up donating them mid race. Adverse weather at the weekend caused the cancellation of the final round of the Calshot Winter League. Water on the track from the heavy snow fall caused the damage. 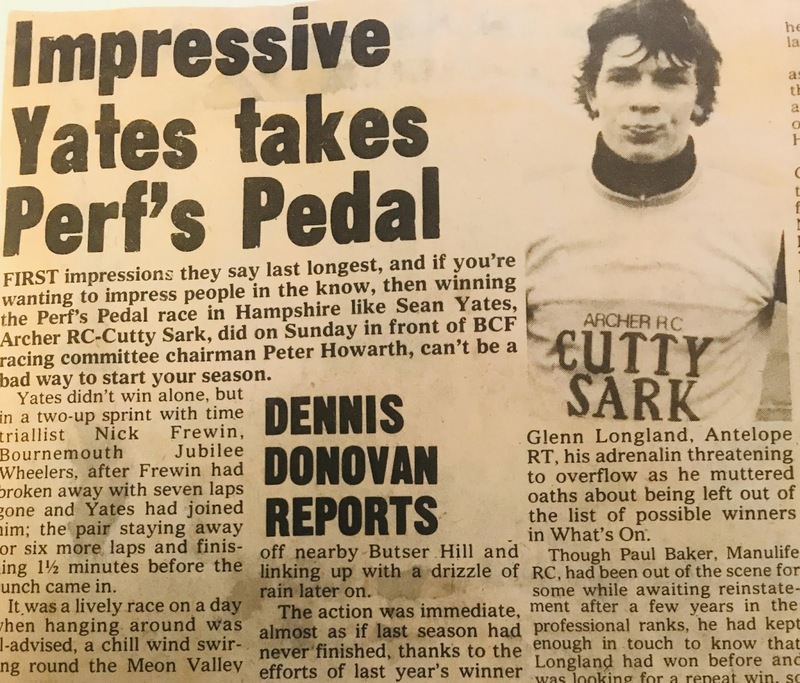 ....."It wasn't the first race of the year back then i seem to remember. 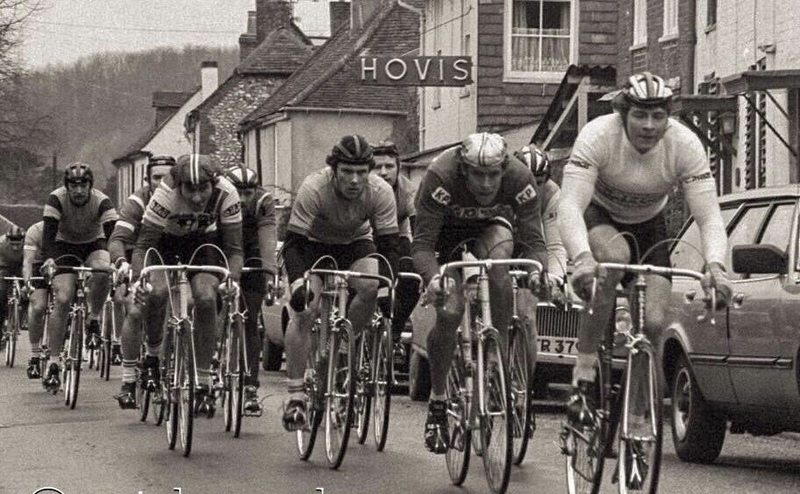 The finish was on Harting Hill i think, i won on my own about half a minute, i was 23, i never rode Perfs again., I started racing in '56 I am 80 in June and live in Brittany but i am still interested to see who wins. 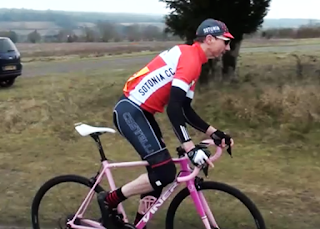 I used to build frames, i think Sean Yates was riding one of my frames when he won Perfs." Dave has his own cycle coaching business, runs training camps in Mallorca and still rides as much as he can. 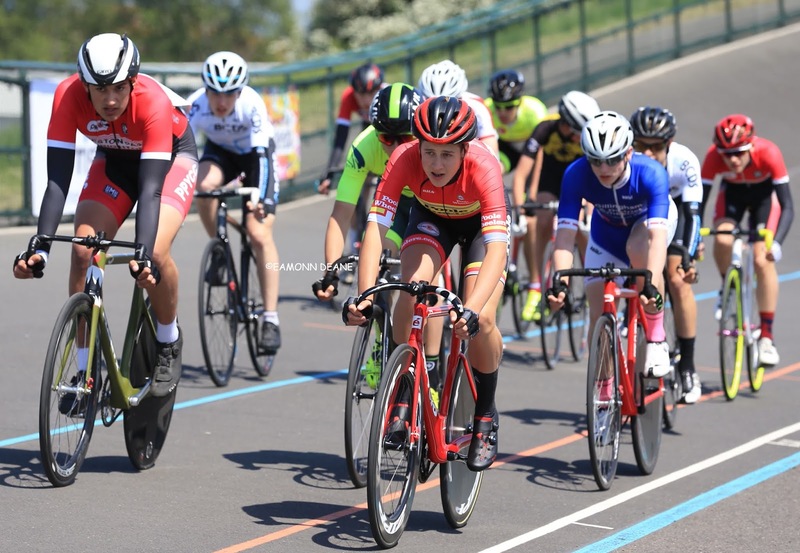 ..."I thought it was all over after being dropped twice on the final lap on climbs by Gordon McCauley and Dan Lloyd, but kept fighting to come back, luckily they started looking at each other in the final 500m, I could get back, recover and I’d been really working on my sprint in the previous months so was happy that I’d won it but also that the specific training had paid off. 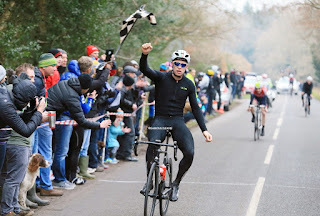 I only decided to ride the day before being new to senior racing and clocked the biggest win yet for myself. I was delighted." 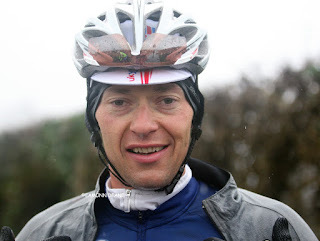 "2013 was great year for me.Obviously “Curse of the Perfs “was broken that year I have special memories from that race.weather was on my side minus 5*C and rain . 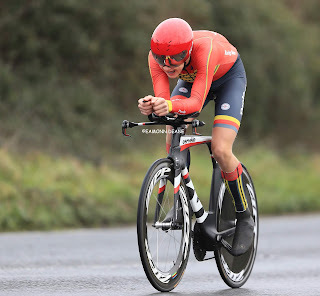 I know what to wear to stay warm and still aero in bad condition.Problem was I got new wheel and my chain was jumping when power was over 800wats . I knew I have to go solo to have chance for win. I went bit early but managed to stay away doing about 400watts for one hour!" "I still have good memories of my win . I remember i realy wanted to do well as my friend Tim Harris had won it few times and was (still is!) a big race for all the local riders. im think im right in saying i was 18 at the time . It was my first amateur race and came out of track racing in belgium in the winter. 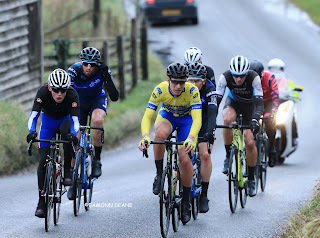 Had a big battle with Harry Lodge and Paul Rogers but managed to beat them in the sprint ! If you find any pictures from the race id love to see them, as i dont have any"
Nigel lives in Belgium working in electronics and still rides "now and then"
Paul lives in New Zealand but gets back to the UK once a year. "I love the Perf’s race. One of my favourite because you spend all winter training and it’s a real pleasure to get a number on your back again and see where you are. 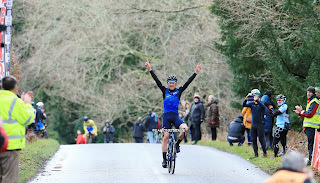 I obviously have good memories being part of the winning team a number of times"
Yanto retired from racing in 2017 and is proprietor at Le Col cycling apparel. Chis is a coach for the Great Britain team. ...“I always really enjoyed riding the Perfs, it came just at the right time in the season a couple of weeks before the longer races started. It really is a brilliant circuit, so good in fact, I think it would be a great circuit to have a race twice the length on later in the season. 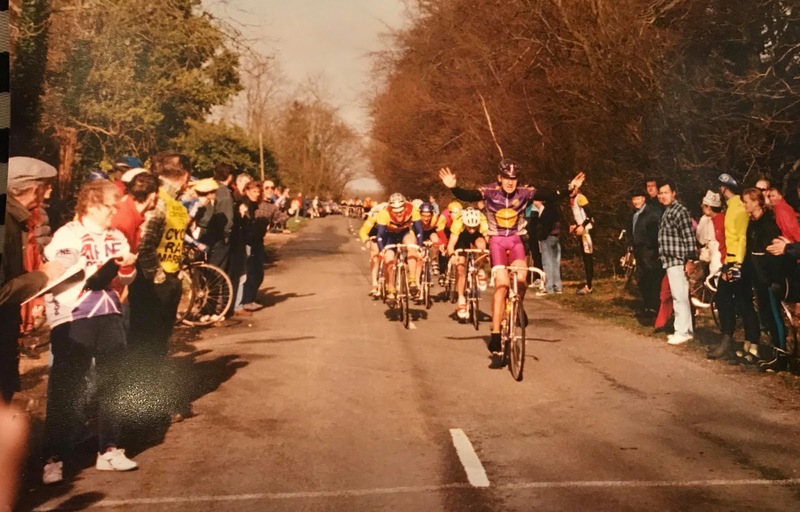 ..."I remember it well, I was team mates with Marcin at the time and he’d just put in a big effort to get away in the final 10km but got brought back by lads working so when that happened I went over the top and didn’t look back with about 8km to go the gap went out pretty quick and on the climb I crossed to the opposite side of the lane on the climb to pass a horse no issues for me and pressed on to the line to win solo about 30 seconds up. I understand when the bunch came through it spooked the horse and caused a bit of chaos still I was made up to win what signified my crossover from MTB to racing Road in my first full road season for my new team." Will was an elite mountain biker before switching to the road.After a serious training accident in 2015 Will was classified as C5 and is a member of the Great Britain Paracycling squad and continues to race in the open category. ... "Perfs has had an impressive list of winners since 1964. My best memories after Paul's 1991 win mu"Perfs st be the Hambledon years. 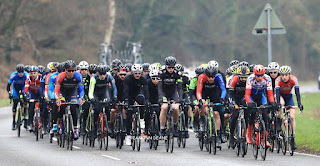 Those bunch sprints with 40 riders going through Hambledon village missing the parked cars and occaisional skips to provide the spectators on both sides of the road back to the 200 metre mark, with an exciting finish." 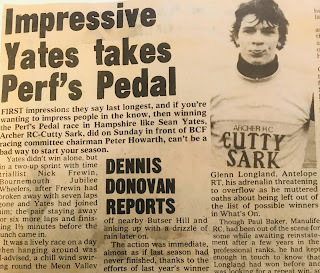 Photos by very kind permission: Mick Searle, Martin Markowski, Paul Rogers, thank you to Sean Yates & David Legrys for the press cuttings.